Home Uncategorized Will Gaza Ignite a Regionwide War? Will Gaza Ignite a Regionwide War? 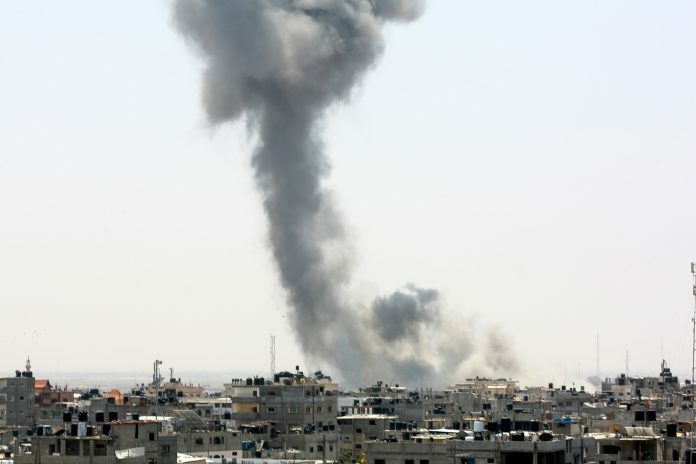 Rumor has it that Israel and Hamas are engaged in indirect talks mediated by Egypt to reach a truce that would see a long-term ceasefire in exchange for lifting the blockade; however, both sides appear to be denying it. In addition, Israel and Egypt have long conditioned the easing of restrictions on Gaza on its return to Palestinian Authority rule, a demand that is highly unlikely to be met in the near future. Gaza today is the same as it has been for 11 years: a forlorn region of desperate people ruled by Hamas, an internationally recognized terrorist organization that in 2007 forced out the Palestinian Authority, as well as European Union Border Assistance Mission personnel positioned there specifically to prevent the very circumstances that led to their flight. Judging by recent events in Gaza, including the Palestinian attack on the Erez border crossing last week, the “March of Return” protests earlier this year, the thousands of incendiary kites and balloons that have led to the destruction of hundreds of acres of Israeli farmland, as well as the three recent wars Israel has fought there in 2008, ’12 and ’14, some analysts agree that the next war is not far off. So can a potential truce hold? According to Efraim Inbar, president of the Jerusalem Institute for Strategic Studies, the answer is yes.